Fetlar has recently taken delivery of its own dedicated ambulance. The resident nurse and recently recruited team of first responders now have a modern, well equipped, ambulance based permanently on the island. Supplied by the Scottish Ambulance Service and supported by the local NHS, this new ambulance will significantly improve the first line medical services available to the community. 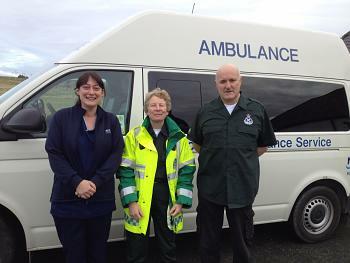 Robert Thomson, Fetlar Development Worker commenting on the news “ This investment in a new ambulance is very welcome. 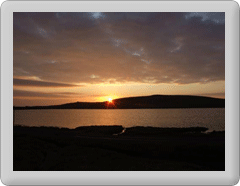 It shows a significant commitment both by the SAS and NHS to Fetlar. It will be a great benefit to our resident medical professional and volunteers. Allowing them to provide an increased level of service to the local community. The days of transporting casualties to the airstrip for evacuation in the back of a van, are thankfully now over."